Our website was created to assist you in designing your own special anointing oil. With the assistance of our Biblical Anointing Oil Specialist we will guide you through a simple on-line process to experience a fragrant journey through God's plant kingdom referred to in Genesis 1:11-12. Before beginning to create your anointing oil you will want to spend some time in prayer and read the scent descriptions of each plant, herb, flower or tree. Once you have become familiar with God's plant kingdom your fragrant journey of faith will begin. 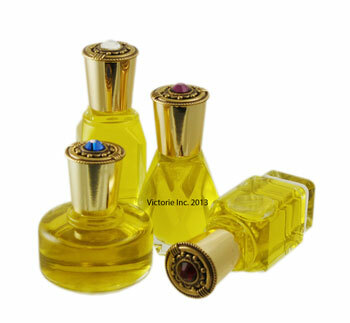 When you feel you are ready to create your unique anointing oil click here. Below is a list of the ingredients we offer to create your special anointing oil. Our plant, tree and flower extracts are pure and do not contain synthetic chemicals to enhance the scent profile. So expect to be pleasantly surprised by their natural beauty. Anointing Oil Secrets is a division of Victorie Inc. DBA Healing Oil Sanctuary © Information on this website is copyrighted material and may not be duplicated, copied, or incorporated into any other work.